Dimensions: height 45cm, length 45cm, width 45cm, weight 2,8kg. Available colors: White, Taupe, Silver grey, Dark grey, Black. 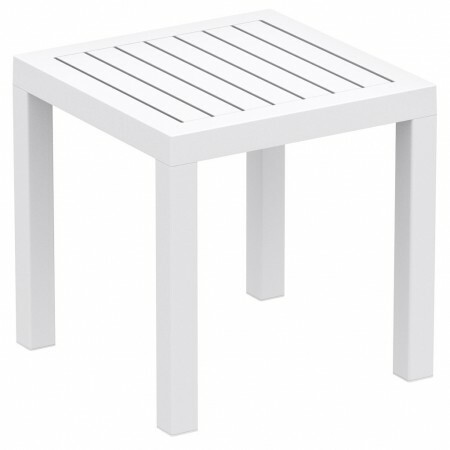 Ocean is an elegant stackable square side table for indoor and outdoor use. 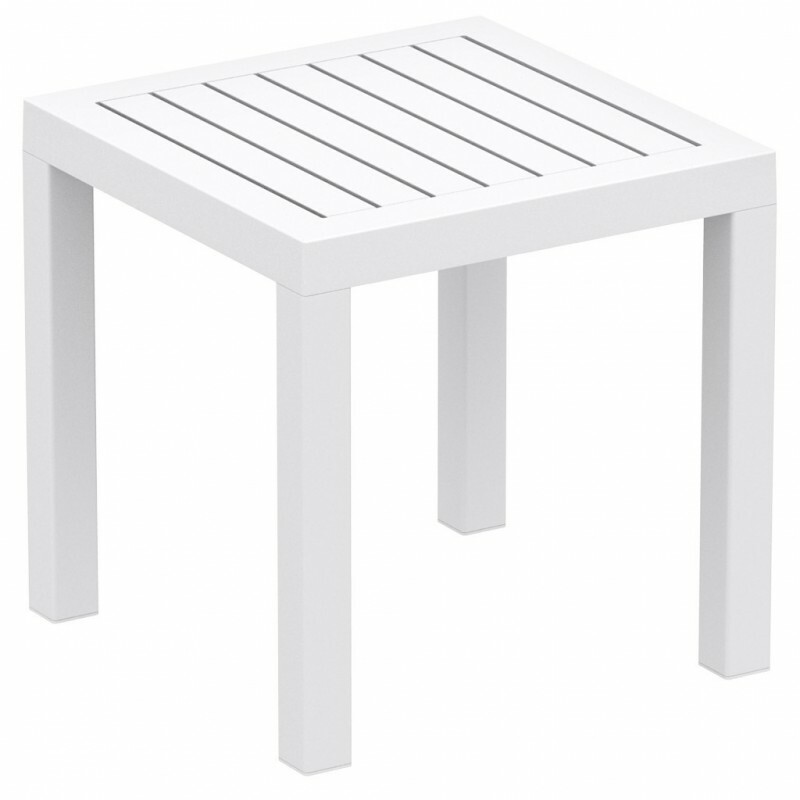 Ideal for multiple uses, Ocean is perfect as poolside table or as practical coffee table. Ocean is made with a special resin of polypropylene, extremely resistant to atmospheric agents and equipped with UV rays protection treatment. Be noted that the legs can be disassembled. Also available in the rectangular version, visible below in related products. Important: in dark colors, shadows and other minor imperfections, they are more evident than in lighter colors and must therefore be considered in the standard.